Gardai are investigating if there is a link between two armed robberies in Dublin's north inner city in the space of 24 hours. 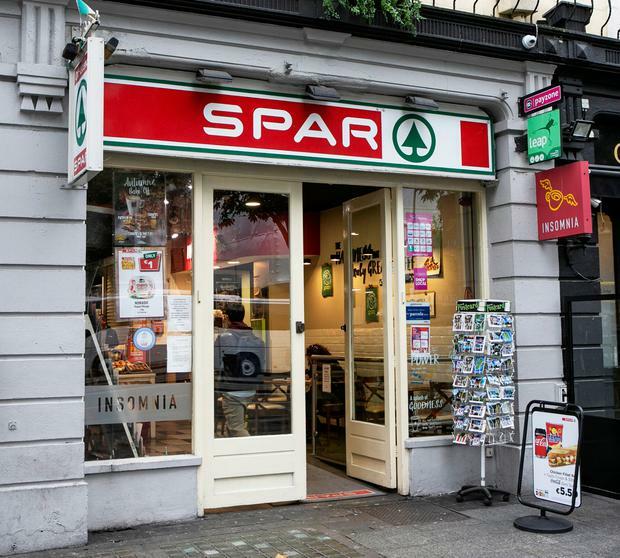 On Sunday between 8pm and 8.30pm, two men, one armed with a knife, ran into a Spar convenience shop on O'Connell Street. They threatened staff while demanding the contents of the cash register. One of the men tried to run behind the counter, but a staff member picked up a bin and chased the raiders. One of the criminals received an injury during the tussle and left a bloodstain at the scene. The pair fled from the store empty-handed. On Monday at 8.30pm two men, again one armed with a knife, entered the Fresh convenience store on Mayor Street. They threatened staff and escaped with an undisclosed sum of cash. Gardai were quickly on the scene following both robberies. Although the men had their faces covered, it is believed that CCTV footage from the attempted robbery at the Spar has already narrowed down the list of suspects. A sample of the bloodstain left at the scene was taken by gardai for forensic analysis. There were no reports of any injuries to staff or customers in either incident. CCTV from both shops will now be compared to see if the crimes were carried out by the same pair. Both robberies happened at around the same time of the evening in similar shops in the north inner city close to the Luas line. Recently released figures show that crimes including robbery have risen sharply. Robbery, extortion and hijacking were up 16pc to 2,318 in January to March compared with the same period last year. Weapons and explosives offences rose by 12pc to 2,365 in the same period. Dublin Town business group chief executive Richard Guiney said spates of robberies were something that did not happen often, but it was always shocking to hear about them when they did. "This is not a regular occurrence, but it's always unwelcome when it does happen," he told the Herald. "Our advice is to be security-aware. "The gardai have a good initiative where they can assess your shop and point out possible weaknesses that raiders could pick up on. "Things like not having mirrors behind the counter which show a potential raider what the layout under the counter and around the cash register is like. CCTV is probably a must now in any retail situation too. "Sadly, robberies do happen, and it's important to try to make your shop as unattractive as possible for these people."